I love a horror story set in the winter, and I love the fact that the expanding influence of the dead entering our dimension is bringing the cold of the grave with it. The coldness doesn’t just extend to the world around our characters, the actions of Grace herself are chilling. She’s not the helpless, broken child that we’ve been hoping that Dan will save, she is a Power in her own right and will either be the salvation or damnation of the entire world. Cullen Bunn is one of a very small number of writers today who just hits the spot for me every single time they put pen to paper. He is a master of his craft and every time he launches a new project, I’m right at the front of the queue to grab a copy. 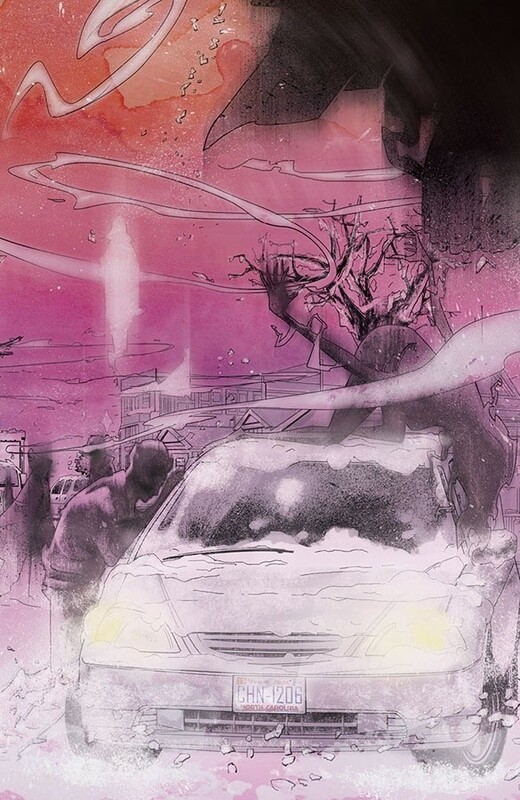 As I’ve said before, this story started off with all the hallmarks of being a fantastic addition to the Silent Hill franchise if John Carpenter had written Silent Hill, but it has turned into something much more than that. This is a ghost story, a Gothic horror, a folk horror, and has the Eldritch dread and of a classic Lovecraft story. 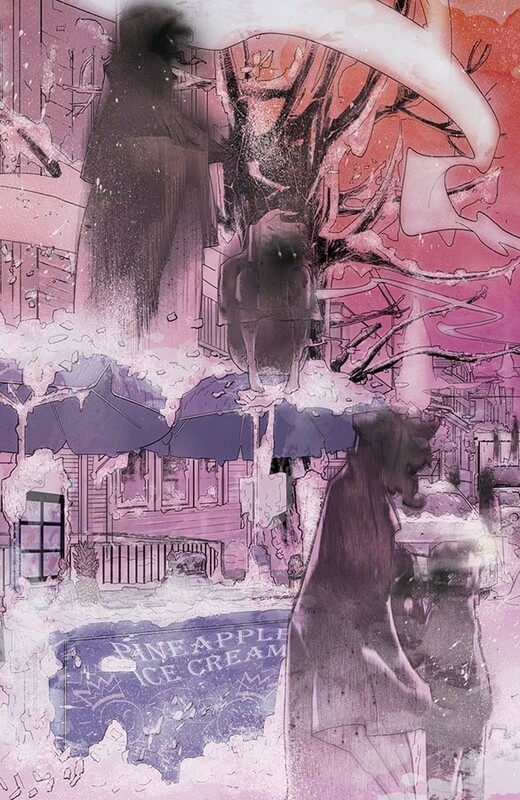 There really isn’t much more you could ask for in a horror comic and it’s exactly what I’ve come to expect from Cullen Bunn. I was initially sceptical of the art that Mark Torres produced for the first issue of this series. But, and it’s a big but, I have had to eat my words (literally, they make us do that here), as the artwork in Cold Spots has just gone from strength to strength. Torres’ artwork is perfect for the story that Bunn is telling us. The scenery and architecture could easily have come from the pages of an old Tales From the Crypt or Creepy Presents book, but is imbued with a much more sinister and more ethereal feel. 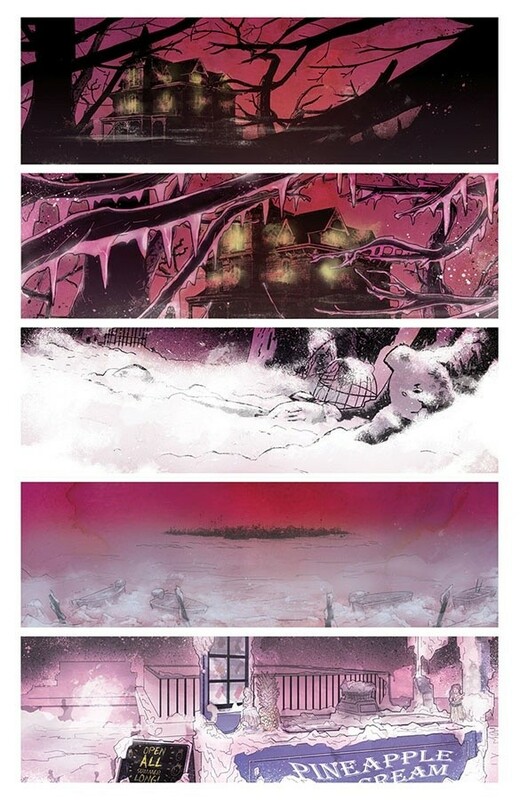 There are some incredibly beautiful panels in this issue, I think you’d be hard pressed not to produce something beautiful with snow in it but, Torres takes it to another level with what I would say are influences of Mike Mignola helping him to shape something that is both horrific and captivating in the same panel. As final issues go this is very, very well done. It gives us a conclusion which, while dark and chilling, is still extremely satisfying, but it also leaves us desperate for more. 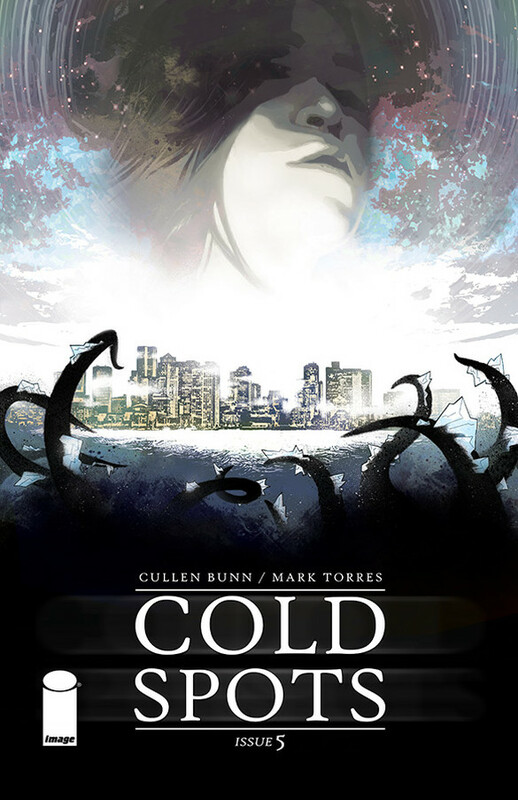 There are many unanswered questions from this series, which is not a bad thing, and to my great delight, Cullen Bunn has confirmed that this will now be the first arc of an ongoing title rather than the miniseries we’ve had so far, so look out for the further adventures of these characters in the future.